Memorial Day was awesome. A huge thank you to all of the service men and women who keep us safe every day and those who made the ultimate sacrifice, we are all infinitely blessed to be American. I woke up early and went to a hot yoga class. The only downside was that I didn’t realized it was a 90 minute class. I was convinced it was an hour class, and when the instructor pointed out that it was 90 minutes, all I could think was Aw HAIL. But I survived, I even helped the guy next to me stop hyperventilating at the end of class. It is nice to feel helpful. 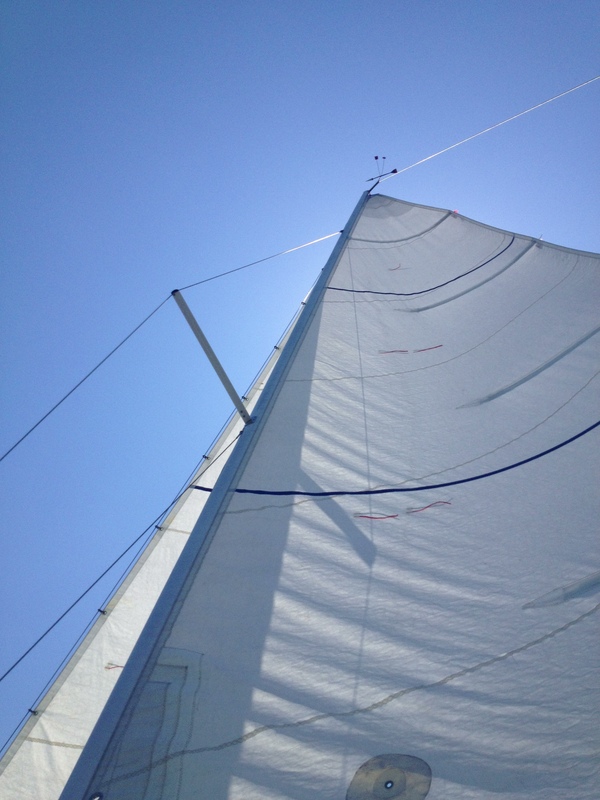 When I got out of class, I had a text message that the Adelante was ready for an afternoon sail. 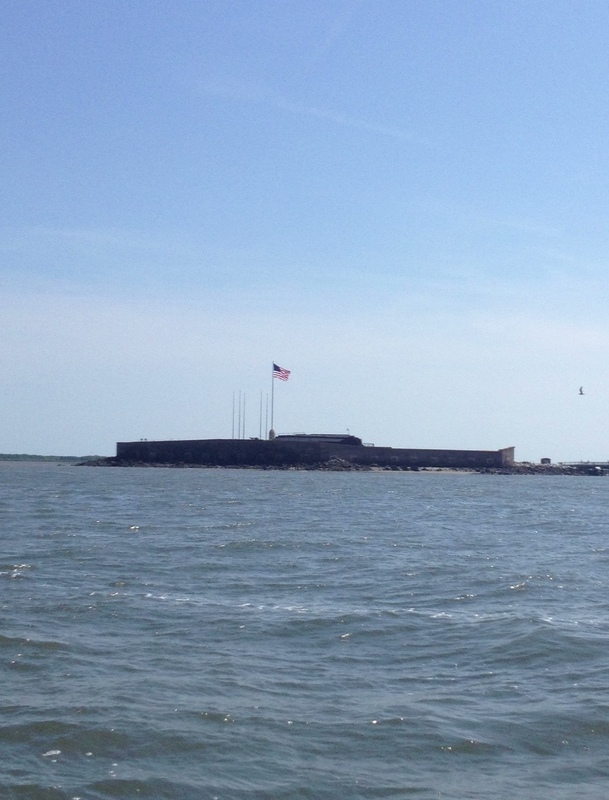 The weather was fantastic, and the Charleston Harbor was excited to see us. We did run into a slight rudder problem, but we happily puttered back to the dock with cold beer, sunshine, and good company. The bartender at the yacht club was happy to fry us up some sea creatures to accompany our cold beer. 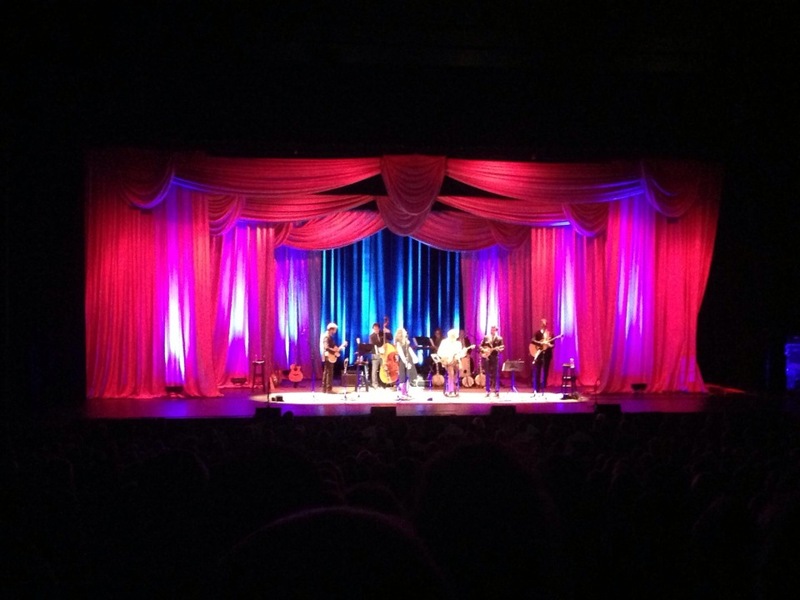 After sailing, I rushed home, quickly cleaned up, and headed out to see Steve Martin and the Steep Canyon Rangers. I’m in love with Steve, and all of the Steep Canyon Rangers. I’m thinking of moving to Asheville. If you have a chance to see these fools, please take advantage of it! I want to tell you a lot more about my weekend, but I’m running off to yoga. The foot is hanging in there, I’ve become a big believer of KT tape. on May 31, 2013 at 8:20 am BETSY!